ECESR released a report about the framework of operation of MNCs in Egypt. Does it leave MNCs above the state? 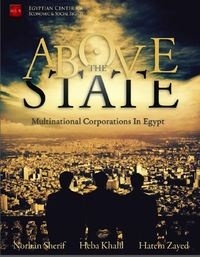 The Egyptian Centre for economic and social rights (ECESR) released a report about Multinational corporations in Egypt. The report discusses how the shrinking legal framework to regulate the operation of MNCs in Egypt led to their impunity. It presents violations committed by these corporations that results from imbalanced bilateral treaties. These violations can harm state sovereignty and public interest. The report raises questions about the coherence of Egyptian policy-making process and recommends necessary reforms.